How much is my start up worth ? Get unique insights on startup fundraising and valuation in France with our report disclosing VC transaction multiples. In Venture Capital there is no « transparency » about startups valuation. It’s like being constantly in the haze. Only a few rumours and indiscretions sometimes feed the French Tech fantasies. Venture Capital is facing a total asymmetry between funds and entrepreneurs regarding the available market information : funds hold a substantial amount of information, inherited from their past experiences and their precise knowledge of the fundraising market; startups have none. Having this in mind and thanks to a data driven experience, Avolta Partners decided to reflect a little bit further upon the metrics that are underlying startups valuation. 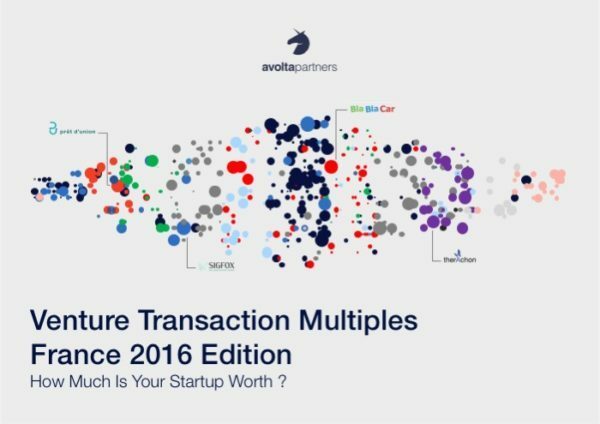 After closely monitoring 500 start-up fundraisings, Avolta Partners is able to disclose VC transaction multiples per sector and per business model in France in 2015.